Although single beds are generally the go-to choice of parents for furnishing a kid’s bedroom, they are far from being the only good option. 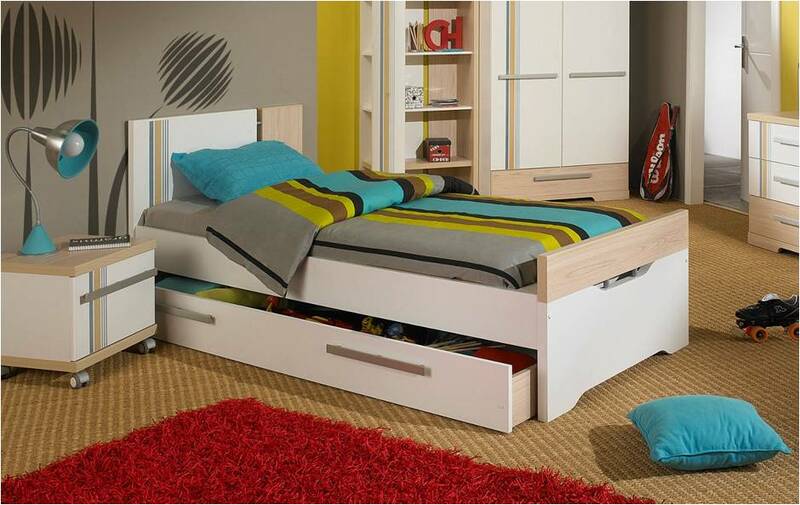 Have you for example ever considered a small double size bed as a transition bed for your child? Small double beds are though a great option once your kid is ready to move out of its baby crib to a more “grown up” bed. They typically accommodate a 120cm wide and 190cm long mattress and will allow your kid to easily grow in a small double bed for many years to come. We have put together a few recommendations to help you narrow down your options when deciding one small double bed for your teenager to be. Even if your kid will eventually ask for sleeping in a double bed and this sooner than you expect, a child could easily grow into a small bed which will save you to buy a new one when it hits its teenager years. This bed size has the advantage of being large enough to accommodate two people which makes it the perfect solution when having occasional friends to sleepover. You should therefore go for a very durable and supportive mattress that will last at least 8 years. Small single beds measure 48’’ by 75’’ which is roughly equivalent to 120cm x 190cm. If space is a variable you need to work with when furnishing a kid’s bedroom you can still take a look closer at smart storage solutions such as underbed drawers or even storage beds. Divan sets and ottoman beds both come in the small double size and do a great job at offering extra storage space for bed linen and bulky items such as pillows. The transition from a crib bed to a small double bed generally comes with a complete bedroom makeover as it is more likely that your kid outgrew both the furniture and the bedroom décor. When it comes to beds, there are a lot more style options to choose from. Whether you would to bring a modern feel or a classical look to your kid’s bedroom you can choose a leather bed, or a bed frame made from wood, metal or even in upholstery so that it suits its new preferences and tastes.